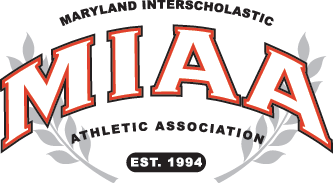 Despite having locked up the top seed in the upcoming Interscholastic Athletic Association of Maryland A Conference softball playoffs, No. 14 Archbishop Spalding still came into the final regular season game against 15th-ranked Mount de Sales Academy on Wednesday afternoon in Catonsville at a decided disadvantage. And that’s because the Sailors, who earned a third seed for the postseason, were bound and determined to hand longtime coach Pete Waskiewicz, a victory in his final regular season game after 24 years and three championships at the helm of a program that has been among the area’s best during his tenure, including an 89-40 record since 2011. Waskiewicz, who is retiring, showed that he hasn’t lost his touch in the battle against the two-time defending champion Cavaliers and coach Nicki Trumpler by guiding the Sailors to a 7-5 victory. With a slew of former players on hand to honor Waskiewicz in a brief post-game ceremony, four-year starting center fielder Taylor Forgen was the hero for clubbing a clutch two-run double in the sixth inning that turned a 5-4 deficit into a 6-5 lead. 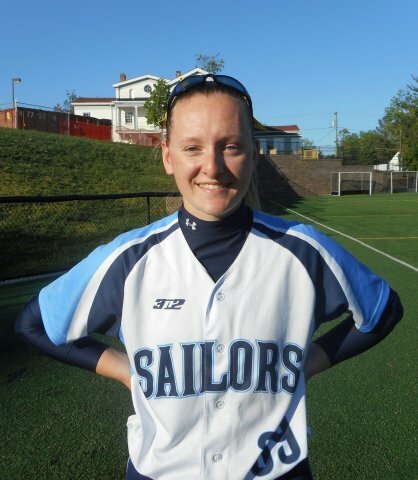 The Catholic University commit had a perfect day at the plate, going 3-for-3 with two singles and a double, two RBIs and two runs scored in the Sailors’ dramatic 7-5 come-from-behind victory. With the Sailors trailing, 5-4, Allie Cluster started the sixth-inning rally with a leadoff single and moved to second on a walk to fellow sophomore Lindsey Tolle. Junior infielder Karlee Stocksdale, who smacked a two-run double of her own in the second inning, had a very productive out when she grounded to second to move both runners into scoring position. Forgen then delivered the dagger that tagged Cavalier pitcher Aubrey Gibson with the loss. The Sailor star subsequently scored an insurance run on sophomore Olivia Davidson’s bouncer up the middle that barely eluded Gibson’s out-stretched glove and trickled into center field for a 7-5 advantage. Tolle, who took over in the circle from hard-luck starter Lauren Keller after the Cavaliers (10-7, 8-2 conference) scored two unearned runs in the first to take a 2-0 lead, set down the side in order in the seventh to seal the win. The right-hander also wiggled out of a two-out jam in the first after walking first baseman McKenzie Maenner, giving up a double to designated player Jordan Moore and hitting Gibson to load the bases before striking out the next batter. After Stocksdale’s double tied the score in the second, Spalding jumped back ahead on Gibson’s infield single in the third and Maenner’s single to center an inning later to build a 4-2 advantage. Freshman infielder Laurna Heathcott and sophomore infielder Julie Rowe knotted the score at 4-4 for Mount de Sales (10-7, 6-3) in the fifth on groundouts before the Cavaliers took their final lead in the sixth on a single by Jayla Neal and a couple of Sailor fielding miscues. Trumpler and her troops would have preferred ending the regular season with a win to build momentum for the postseason. AS – Aubrey Gibson and Angela Sena. MDS — Lauren Keller, Lindsey Tolle (1) and Allie Cluster. 2B: AS – Angela Sena, Jordan Moore, B. Walterhoefer; MDS —Karlee Stocksdale, Taylor Forgen, Allie Cluster.